A Coaster train struck and killed a pedestrian Monday on tracks near the Poinsettia Railroad Station in Carlsbad. It happened shortly after 8:15 a.m. near the Poinsettia Railroad Station located at 6511 Avenida Encinas, San Diego County Sheriff’s Lt. Amber Baggs said. Sheriff’s deputies were not immediately able to provide information on the victim. 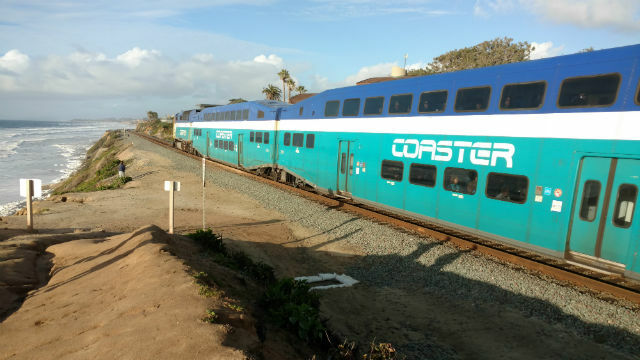 North County Transit tweeted shortly after the crash that the Poinsettia Station was closed and a bus bridge will be established for coaster passengers from Encinitas Station to Oceanside Transit Center while law enforcement investigates the incident. Sheriff’s deputies were investigating the crash.